Aleksander Schjerpen og teamkemerat Luca Magnoni vant GT4-klassen da årets første løp i det italienske GT-mesterskapet gikk av stabelen på Monza. Monza, Italy – Tuesday 9th April 2019: Norwegian GT star Aleksander Schjerpen has opened his 2019 account in the best possible way, securing GT4 Class victory on his Italian GT Endurance debut in Monza along with his NOVA Race teammate Luca Magnoni. Having just last week announced his deal to join the Italian team, Schjerpen was feeling confident that they would be key players in this year’s championship. Running a Ginetta G55 GT4, Aleksander carries a wealth of experience onboard similar examples of the British sportscar from his time in the British GT Championship, something that he felt would be key to hitting the ground running in 2019. Arriving in Monza on Friday to begin his weekend with a series of free practice sessions, the #208 pair worked hard on the setup of their Ginetta to prepare for the weekend ahead. Immediately placing themselves at the sharp end of the field, confidence was high ahead of qualifying on Saturday afternoon, all be it not totally sure where they stood compared to their rivals. Qualifying was run over three sessions and when the best times were combined, the NOVA Race crew’s pace was confirmed as they were set to line up second in class on the grid for Sunday’s three hour race around the famous Monza Circuit, home to the Italian Formula 1 Grand Prix. Sunday’s conditions however were not typically Italian. With rain in the area and the track currently wet enough to favour wet weather tyres, starting driver Luca Magnoni opted to start the race on wets despite one of their rivals taking the gamble to go for slicks. As the race got underway however, the track started to dry further, with many crews diving into the pits to move over to slicks. The NOVA crew however gambled on remaining on wets as the wet weather patterns remained in the area and the chance of rain returning was high. A short time later, that is exactly what happened, forcing many crews back into the pits to move across again to wets, allowing Magnoni to remain on track and benefit from the team’s clever gamble. A superb opening stint for Magnoni ended just after the one hour mark where it was now over to Schjerpen to resume their charge in the class lead. With weather conditions remaining unpredictable, the team opted to leave Schjerpen on wets despite the track showing signs of improvement. Tyre preservation while also maintaining a healthy class lead would be paramount for the duration of his stint. However staying out of the pits in longer races is always the key to strong results and this was exactly part of the plan. Indeed as the clock moved into the third and final hour, Aleksander dived into the pits from a strong lead, handing the car back to Magnoni to finish the race. Now able to bolt on slick racing tyres, Luca put in a superb final stint, to bring the NOVA Race Ginetta G55 across the line as winners of the GT4 class, securing top championship points from the opening race of the year. 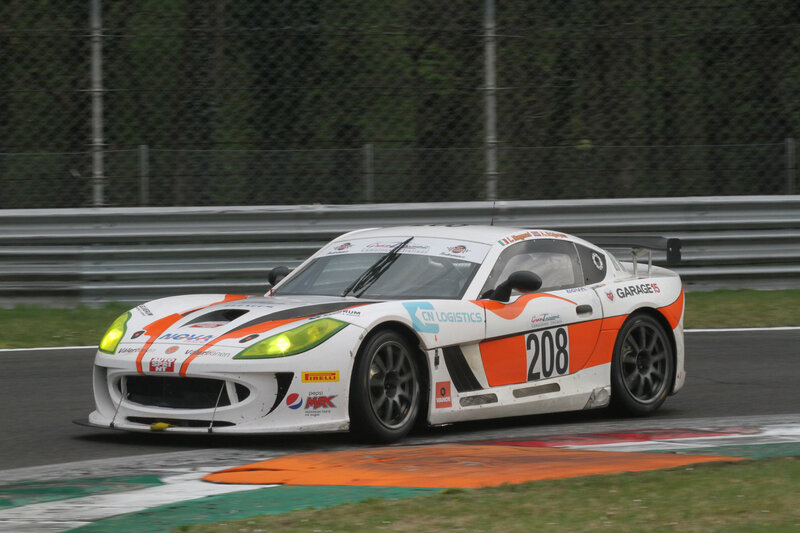 Italian GT Endurance Championship Round 2, Mizano, Italy – Friday 17th May – Sunday 19th May 2019.